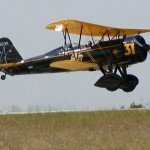 The Stearman taught more WWII pilots to fly than any other airplane. It's longevity is assured by the fact that many have been restored and are still in use today. 87" Specifications: Scale- 22.5%, Wingspan 87 inch, Length - 67 inches, Wing Area 2260 sq inches with a weight of approximately 20 lbs. Requires a 60cc petrol or above. 78" Specifications: Scale: 2.4"-1', Wingspan 78 inch, Length - 59 inches, Wing Area 1725 sq inches with a weight of approximately 16 lbs. Requires a 35cc petrol or above. 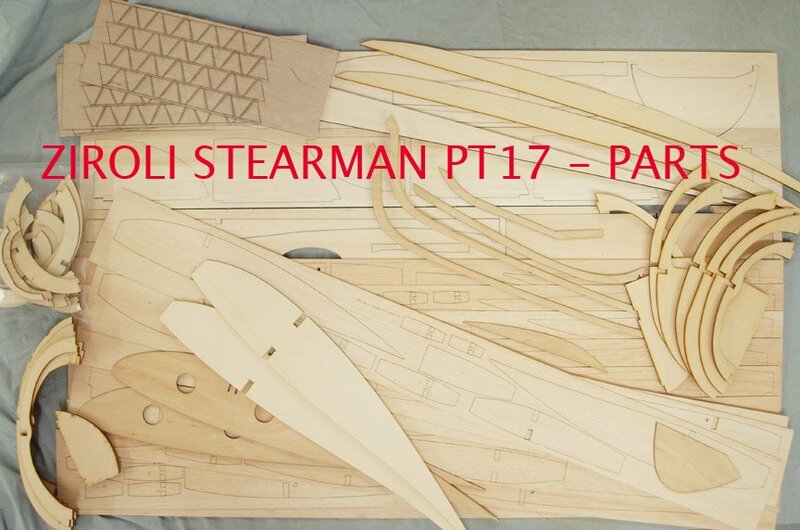 Your Belair Parts Set includes all laser cut balsa and plywood parts, including ribs, bulkhead, formers, tip outlines, etc. 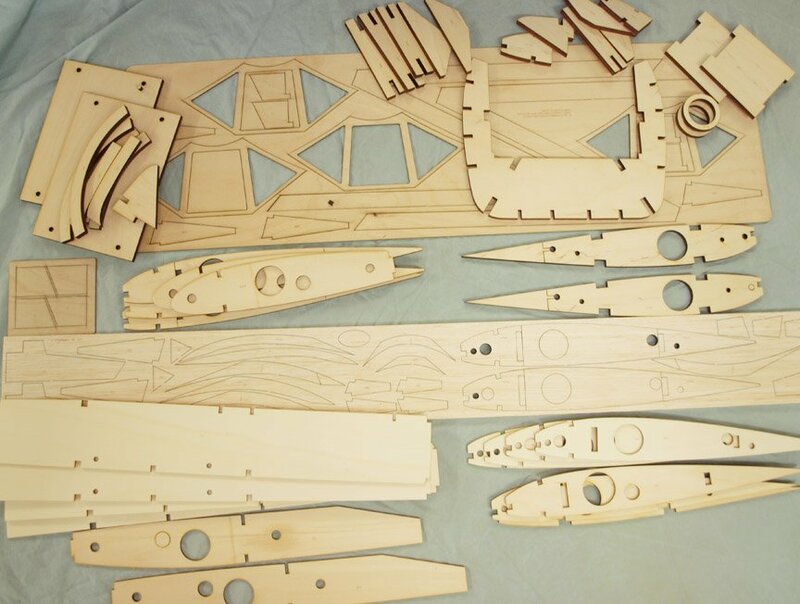 Add your own strip and sheet wood to complete the basic airframe. 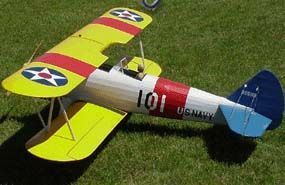 Belair Models can also supply all genuine Ziroli accessories, such as the cowl, canopy, dummy engine and the custom Robart landing gear. See additional photos for contents of Parts Set - 87" version shown. 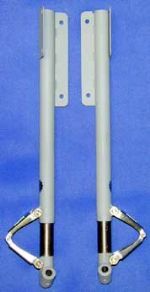 Plan not included in Parts Set, available from Belair. 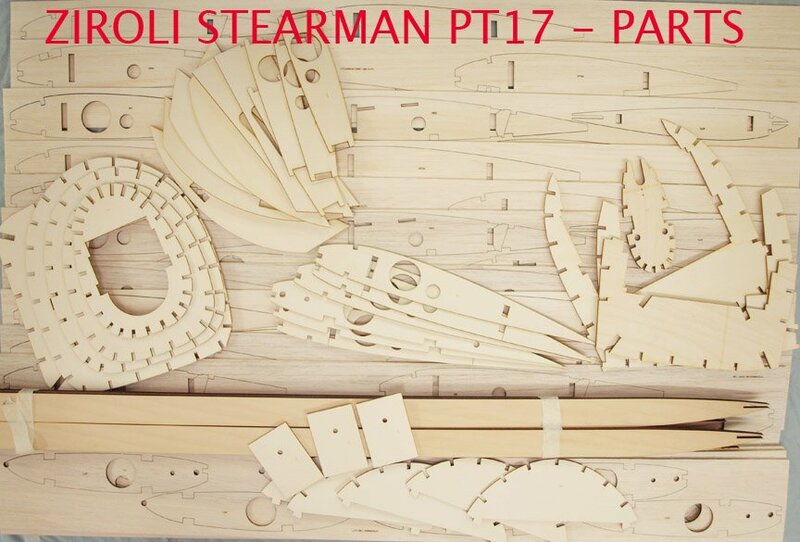 We also stock custom struts and tailgear for the Stearman 87", order at the same time as the Parts and Plan and enjoy the package discount saving of £80. 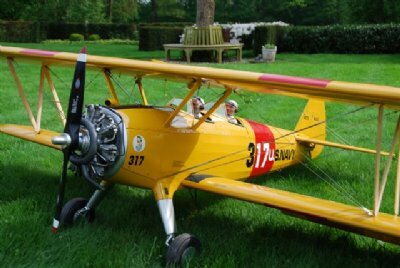 The removable wing of the 87" Stearman requires two 1.25 inch wing joiner/liner tubes available from the accessories below.